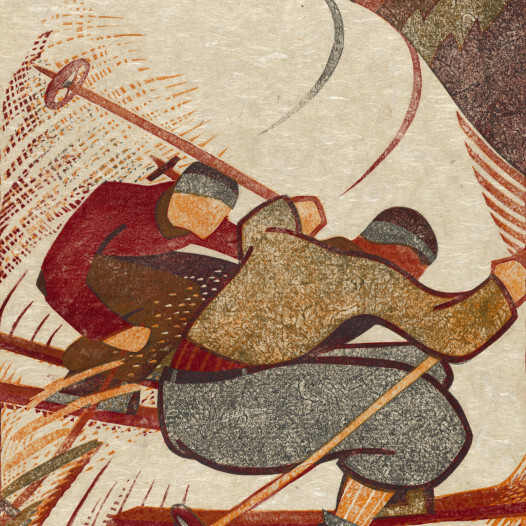 Born in Schwanden, Glarus, Switzerland, in 1911, Lill Tschudi was a printmaker, associated with the Grosvenor School, with whom she exhibited regularly. Seeing an exhibit of coloured linocuts of animals by the Austrian artist Norbertine Bresslern-Roth, she was inspired to work in this medium. 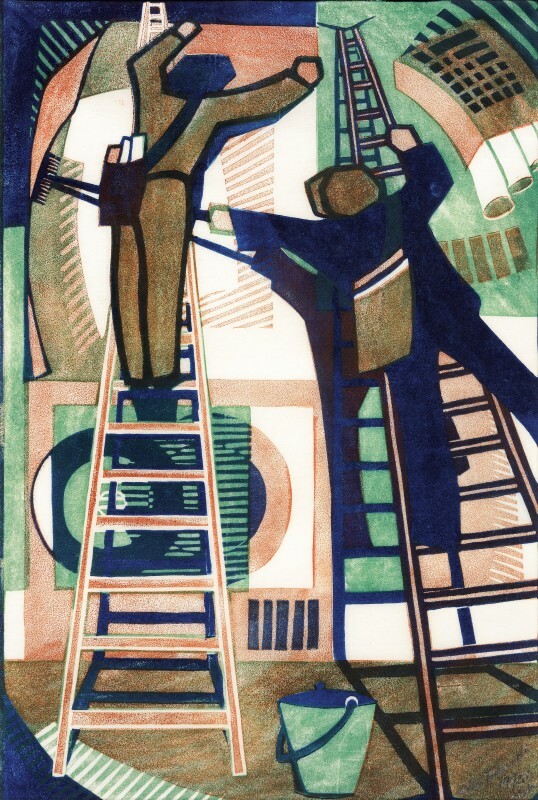 Her own vibrant linocuts were of modern life—jazz bands, sports events, the London underground, men at work on electricity pylons. 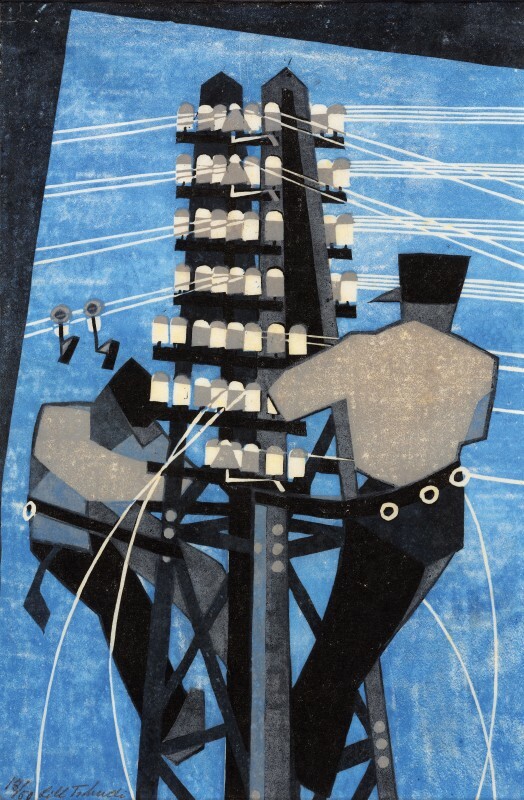 Moving from Switzerland to London, Tschudi officially studied at the Grosvenor School from 1929-30, where she explored linocutting under Claude Flight, who included her print ‘Fixing the Wires’, in his 1934 textbook The Art and Craft of Linocutting and Printing. Her prints were exhibited throughout the 1930s in shows organised by Claude Flight at the Redfern Gallery and at the Ward Gallery. She left England for Paris in 1931, but Flight remained her artistic liaison in Britain for the rest of her life. She would send him examples of her work, and he would send letters in return. 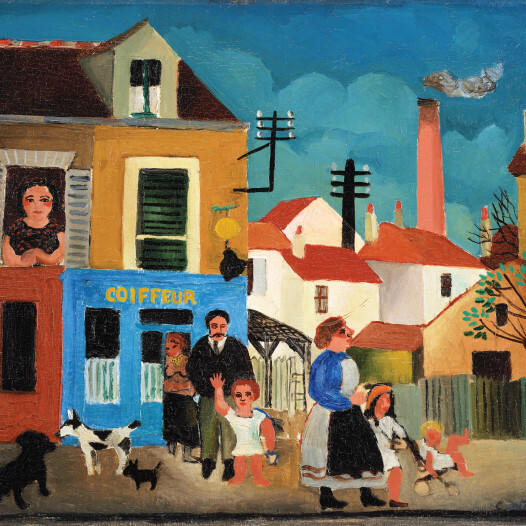 Whilst in Paris, she was taught by the Cubist artist André Lhote, at the Academie Ronson by the Futurist Gino Severini, and also by Fernand Léger at the Academie Moderne. From here she moved back to Switzerland in 1935. She undoubtedly took from the style of all of her teachers—especially Flight, whose formal language she adopted and adapted through her own work. 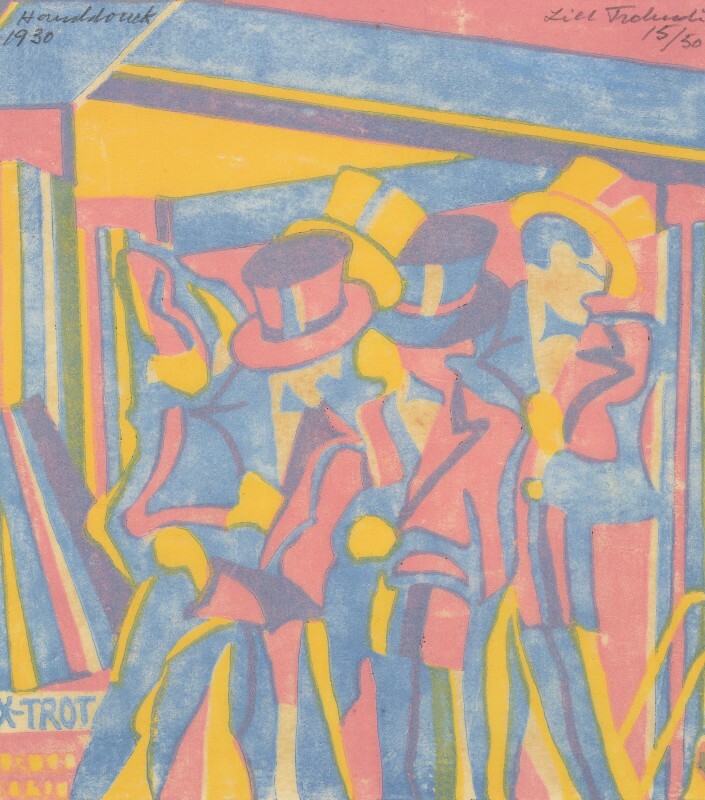 The Grovesnor School had strong links to the work of the Futurists and the Vorticists, and something of their style and interests can be seen in her impressions of the dynamism and vibrancy of modern life between the wars. Her strong line and bold use of clashing colours recreate the noise and movement of a new age, capturing some of its intensity and sense of the excitement of discovery. Tschudi remained in her hometown for most of the rest of her life, painting and producing 355 linocuts. Despite her Swiss base, Tschudi still sold mainly in England, and was recognised far more by the British art world than by her Swiss compatriots. 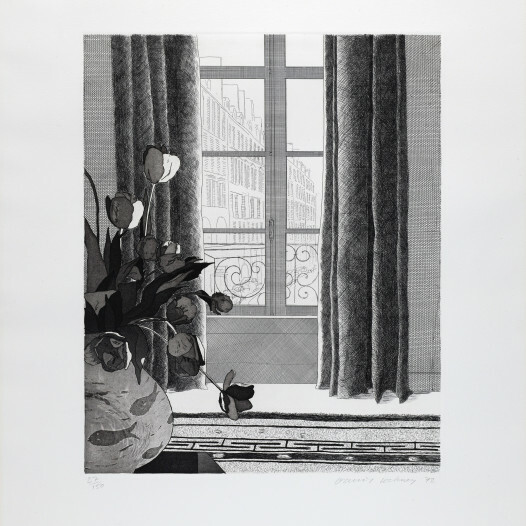 Later, her work began to achieve more recognition, and, in 1986, she was awarded the National Print Prize in Switzerland, an accolade that recognised her lifelong achievement in creating linocuts. Tschudi died in Switzerland in 2004, but her pieces live on in collections around the world, including the British Museum, the National Gallery of Australia, and the Metropolitan Museum of Art, New York. 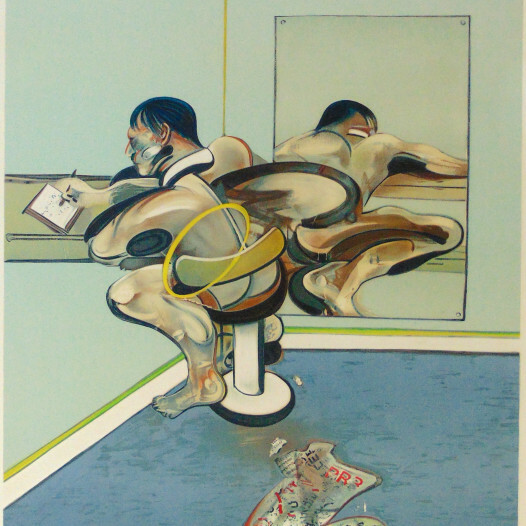 In her lifetime, amongst other such purchases, the V&A and the British Museum both acquired impressions of ‘Fixing the Wires’, in 1932 and 1933 respectively. 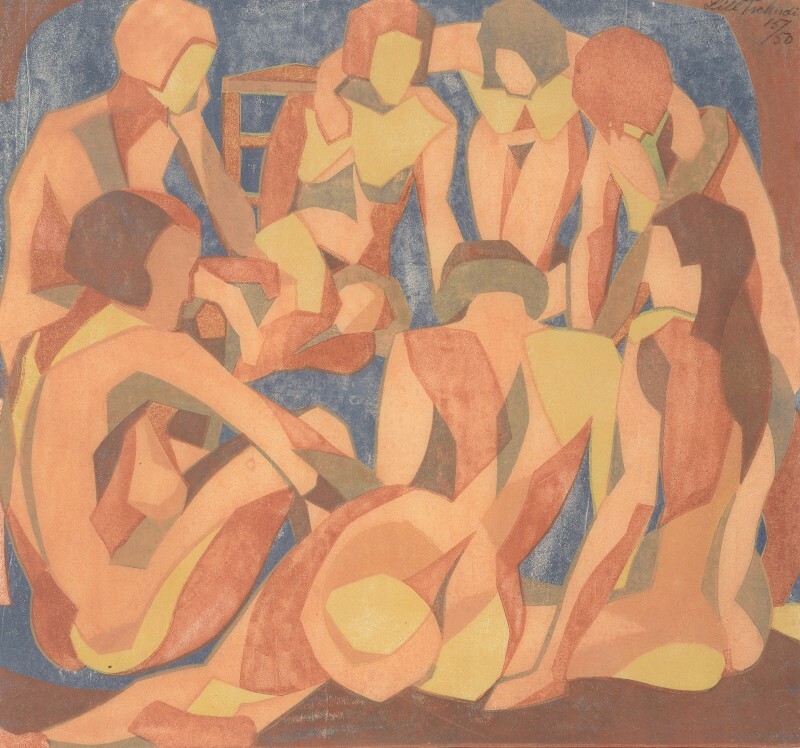 In 2008, the Museum of Fine Arts, Boston, and the Metropolitan Museum of Art jointly held a show entitled British Prints from the Machine Age: Rhythms of Modern Life, 1914–1939, which included instances of Tschudi’s work. Please inform me about available works, news and exhibitions.